There is a growing momentum in medical education to make doctors aware that they not only take the patient’s history, but, much more meaningfully, must listen to his or her stories about why they came to a doctor. Too often a physician makes a diagnosis quickly, based on past experiences with that condition and certain stereotypes of the illness. A leading medical educator and practicing physician, Dr. Paul Haidet, is pioneering the use of jazz to teach medical students and doctors how jazz musicians, as they improvise, listen deeply to one another’s stories. As of this writing, Dr. Haidet is a staff physician at the DeBakey VA Medical Center as well as an associate professor at Baylor College of Medicine, both in Houston. 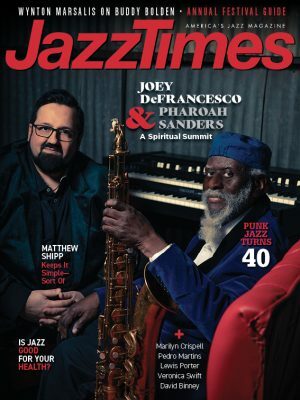 I was introduced to him and his work by my son-in-law, Dr. David Nierman, who directs a hospital in Queens, N.Y., and who is a swinging jazz saxophonist when he can find time for jazz gigs. Dr. Nierman is also involved with using music to teach medical students how to listen. As Ralph Ellison puts it in Living With Music (Modern Library), “After the jazzman has learned the fundamentals of his instrument and the traditional techniques of jazz … he must then ‘find himself,’ must be reborn, must find, as it were, his soul. He must achieve his self-determined identity.” And simultaneously, must be able to listen to the “actual persons” playing with him. How does this apply to the doctor-patient relationship? Says Dr. Haidet, “It takes recognition that all voices in the medical encounter have things to say that are as important as one’s own statements. … And it takes raising one’s awareness to clues: nonverbal signals, fleeting glimpses of emotion, and key words [such as ‘worried,’ ‘concerned’ and ‘afraid’] and following up on these clues when they present themselves. And, in medicine, Haidet adds, “Physicians and patients can achieve ensemble in their improvisation by accommodating, where possible, to each other’s statements and styles of communication.” As a patient, there are varied and uneven skills of communication, when you’re conscious of your mortality. Dr. Haidet has already conducted several sessions with medical students and physicians in which they learn through “guided jazz listening” (specific jazz recordings) about how hearing this music can enhance their interrelationships with patients telling them their stories.